The Aviva Players, an acclaimed chamber ensemble, was founded in 1975 by Artistic Director Mira J. Spektor to research, present and perform the rich repertoire of Chamber Music and Songs by Women Composers of the 12th to 21st Centuries. The Aviva ensemble has been heard in concert halls, churches, temples and universities in New York City, the tri-state area and Palm Beach, FL, and has produced three half-hour TV documentaries on Women Composers—shown frequently on Cable TV, now available for VCR. The Aviva Players, a not-for-profit 501(c)(3) organization, includes the following distinguished patrons on its Board of Directors. Jeremy Nussbaum, Esq., Legal Council. Barbara Bliss, Sonia Breindel, Lawrence Chelsi, Dr. Margherita Frankel, Beate Gordon, Susan Jolles, Elena Klionsky, Ursula Merkin, Paula Orek, Dr. Alice Singer, Patricia Thompson, Mara Waldman. Concerts have been made possible with the help of Meet the Composer grants, the Kolker-Frash Foundation, and the Helena Rubinstein Foundation; and private donors including Claudine and Francis Belmont, Dr. and Mrs. Joseph Breindel, Cathy and Alan Greenberg, Ria and Emanuel Gruss, Dr. Dorothy Indenbaum, Philip & Masako Kasloff, Juanita Leff, Binnette Lipper, Mila and Joseph Nasser, Paula Oreck, Dr. Alice Singer, the late Eryk Spektor, Marvin Weissman, and many others. 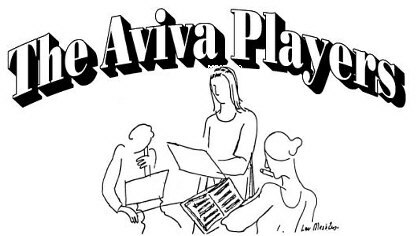 A tax-exempt 501(c)(3) organization, The Aviva Players is seeking financial, volunteer and professional help—through corporate underwriting, foundation grants, and contributions from individuals. If you would like to support The Aviva Players in promoting and presenting the works of gifted and accomplished women composers—as a patron, pro-bono professional, or volunteer, please call Mira J. Spektor (212) 362–2277; Dr. Dorothy Indenbaum (212) 988-9051; or Barbara Eubanks (212) 222-3738. The Aviva Players, a not-for-profit 501(c)(3) organization, welcomes your continued support—financial and otherwise. Membership in The Aviva Players has its rewards. For a tax-deductible contribution of $50 or more, you will receive a one-year membership; notification of all Aviva programs; and invitations to previews, benefits, and other special events. As an important supporter, you will have the satisfaction of knowing that your contribution helps make the music of Women Composers accessible to wider audiences. Founded in 1975, The Aviva Players is one of the first chamber ensembles to feature music of Women Composers. The goal of The Aviva Players is to research, present, promote and, above all, to perform the rich repertoire of chamber music and songs by Women Composers from the 12th to the 21st centuries. Beth Anderson, Elizabeth Austin, Elizabeth Bell, Marilyn Bliss, Tamara Bliss, Victoria Bond, Alla Borzova, Linda Bouchard, Dawn Buckholtz, Laura Carnibucci, Eleanor Cory, Rebekah Driscoll, Nancy Ford, Sylvia Glickman, Frieda Gronewetter, Jacqueline Hairston, Doris Hayes, Katherine Hoover, Memrie Innerarity, Stephania de Kennessey, Jane Komarov, Roberta Kosse, Hye Kyung Lee, Jane Leslie, Binnette Lipper, Melissa Maier, Julie Mandel, Ursula Mamlok, Julie Mandel, Meredith Monk, Thea Musgrave, Nailah Nobeko, Jerica Oblak, Joyce Orenstein, Barberi Paull, Lou Rodgers, Patsy Rogers, Amy Rubin, Ruth Schontahl, Judith Shatin, Judith St. Croix, Naomi Shemer, Judi Silvano, Mira J. Spektor, Joyce Suskind, Elizabeth Swados, Joan Tower, Alison Tung, Ludmilla Ulehla, Mara Waldman, Joelle Wallach, Judith Zaimont, Margarita Zelenaya, Ellen Zwillich and others. Princess Amelia of Prussia, Mary Aufderheide, Amy Beach, Hildegard Von Bingen, Lili Boulanger, Nadia Boulanger, CÈcile Chaminade, Rebecca Clarke, Clara Edwards, Louise Farrenc, Vivian Fine, Idabelle Firestone, Miriam Gideon, Jane S. Hart, Mary Howe, Josephine Lang, Marcelle de Manziarly, Easthope Martin, Marguerite Melville, Fanny Mendelssohn, Maria Theresia Von Paradis, Clara Schumann, Alicia Ann Scott, Ruth Crawford Seeger, Adeleline Shepard, Jeanne Singer, Madeleine Laura DiSirmen, Julia Smith, Germaine Tailleferre, Louise Talma, Mana-Zucca, et al. Aviva performances have been held in concert halls, universities, churches, synagogues, libraries, clubs, on radio and television, primarily in New York State. Manhattan concerts: Carnegie Recital Hall, Merkin Hall, Christ & St. Stephen’s Church, St. Peter’s Church (Citicorp), Madison Ave. Presbyterian Church, Temple Rodeph Sholom, Nat’l Council of Jewish Women, NY Council House, Barnard College, La Maison FranÁaise (NYU), Mannes College of Music, Marymount Manhattan College, Lincoln Center Library, Donnell Library, Cosmopolitan Club, Kosciusko Fdn., Tenri Institute, Women’s Interart Center, West Side YMCA, Lexington Ave. YWCA. Other venues: Manhattanville College (Purchase), Rutgers Univ., Sarah Lawrence College, Skidmore College, Queens Botanical Garden. Long Island: the Peninsula Library (Lawrence), the 5 Town Music & Arts Foundation (Woodmere), Guild Hall (East Hampton) and Southampton Cultural Center. Florida: Sunday at Three Concert Series at Four Seasons Ocean Grand (Palm Beach). Featured on WQXR, WNYC, WNCN radio, Aviva has been part of the Mayor’s Commission on the Status of Women. Three made-for-TV specials about Women Composers (1990), produced by Aviva, are available for network programs and in VCR format. 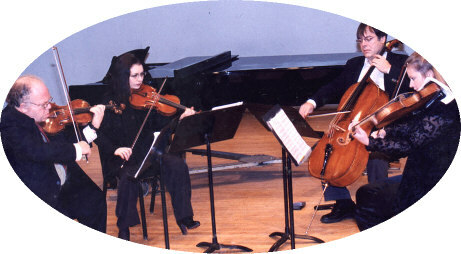 Many accomplished musicians have performed with The Aviva Players including:RenÈe Jolles, Mara Milkis, Yuval Waldman (violin); Sarah Cutler, Susan Jolles (harp); Eugenie Dengel, Kathleen Foster, Ruth Siegler, Leslie Tomkins (viola); Dorothy Lawson, Inbal Segev, Yari Bond, David Calhoun, Andrew Kim, (cello); Melanie Bradford (flute); David Krakauer (clarinet); Barbara Ames, Gila Goldstein, Christopher Oldfather, Dr. Robert Sharon, Jenny Undercofler, Mara Waldman (piano); Robin Leigh Massey, Patricia Thompson, Claudia Wald, Helen Williams, Eddye Pierce Young (soprano); Constance Beavon, Lucy Sorlucco, Debra Stein (mezzo-soprano); Richard Holmes, Mark Peters (baritone); Lawrence Chelsi, Brandon Hall Garcia (bass-baritone); Meredith Monk, Theo Bleckmann (vocalist); Jeffrey Olmsted (guitar, keyboard); Mira J. Spektor, (composer/singer); Dr. Dorothy Indenbaum (musicologist/pianist). A pianist, musicologist and lecturer, Dr. Dorothy Indenbaum serves as chairman of the Dalcroze School of Music Board of Trustees, and was formerly on the faculties of Dalcroze School of Music and Hunter College. She was a contributor to Grove’s Dictionary of Women Composers, a Dalcroze clinician and workshop leader at Washington and Tulane Universities, Montclair, Wagner and Manhattanville Colleges. She received her License from The Dalcroze School of Music, B.A. from Brooklyn College, M.S. from Queens College, and Ph.D. from NYU. Dramatist & lyricist, Carolyn Balducci's publications and productions include novels, biographies, poetry, original plays, reviews and translations of classical & contemporary comedies. She is a member of the Dramatists' Guild, the Aviva Players, BMI and LPTW. Distinctions include a special commendation from S.I.A.E. for the Dissemination of Italian Drama in America.